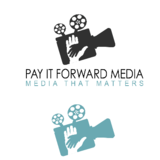 Pay It Forward Media (PIFM) creates and delivers media products to charitable organizations and nonprofit community events by utilizing the creative and technical talents of at-risk youth. Assist the community by donating free media support to local non-profit organizations to help them prosper. PIFM provides programs that enable learning and true-life experiences and relationships with the community. PIFM creates a Career Advancement Channel that cultivates skills and exposes youth to the Media Industry Professionals so they can better compete to obtain Internships and Jobs in the Media World. PIFM assists youth in acquiring Media knowledge and skills, while providing a service to the community, and after graduation, they have potential to become employed as mentors to new youth, who will acquire Media knowledge and skills, while providing a service to the community, and just like that, the amazing greatness loops back time and time again, paying it forward along the way.